The statutory objectives of the Democracy and Media Foundation (DMF) are to counter all forms of totalitarianism in social and political life and to strive for a vigorous democracy and multifaceted, opinionating media. These objectives are rooted in the origin of the Democracy and Media Foundation, which was established in 1944 by the founders of the illegal resistance newspaper Het Parool. DMF mainly fulfills its role as an ideological shareholder in several media companies, its activities as a funder of bigger and smaller social or journalistic projects and organisations and through organising the annual memorial service for the contributors of the illegal resistance newspaper ‘Het Parool’ on the 5th of February in Zandvoort and Overveen. Furthermore, DMF is one of the initiators of the European Press Prize. Through all activities, the DMF strives for a dynamic, democratic and open society in which the rules and values of a constitutional democracy are upheld by governments, companies and civilians. For this a well-informed, concerned and active society is a necessity, as well as independent, critical journalists that check the centers of power, dismantle propaganda and reveal injustices. DMF has a few values anchored in its core that guide the way in which the foundations aims to realize its objectives. In random order, these values are: individual freedom, justice, equality, pluriformity, vigor, openness, integrity, a constructive-critical outlook, international perspective, diversity and inclusivity. In our annual report you can find more information about our objectives and activities in 2017 (in Dutch). DMF supports organisations, projects and other types of initiatives that also invest in critical, independent media and a strong, just constitutional democracy. It achieves this among others through grans, (external) organisational advise and by connecting different initiatives with each other. Project support up to €75.000 can be applied for during the calls for proposals. 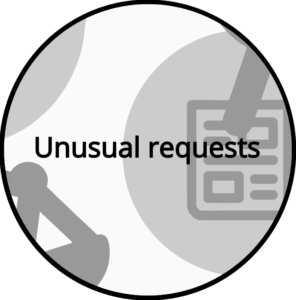 For grant proposals above this amount and requests for a loan or participation we have a different procedure. Read more about applying for a grant at DMF. Read more about our procedure for an unusual grant, loan or investment.